Harsh winds, central heating and plummeting temperatures mean skin can become tight, dry and chapped. But take heart, if that radiant summer glow seems distant try these winter skin care tips from Sleeping Beauty Director Lilac Miller. Even on gloomy days when the sky is grey and leaden levels of UVA and UVB are still significant enough to age your skin and cause sun damage. Apply an SPF of at least 30 each morning as part of your winter skin care routine, and top up during the day especially if you’re going outside. Always choose a SPF (Sun Protection Factor) which protects against both UVB and UVA rays. The higher the SPF number, the longer you can stay in the sun without burning, so for example, SPF 30 enables you to stay in the sun 30 times longer than you could if you were not wearing protection. UVA rays cause premature skin ageing, pigmentation and wrinkles. UVA rays also penetrate the skin more deeply than UVB, so a broad spectrum, high factor sunscreen is advisable. UVB rays are the cause of skin cancer radiation. Lilac recommends Pro Collagen Marine Cream SPF30 - voted the 'Best for Mature Skin' in the Harper's Bazaar 150 Best of the Best Beauty Awards 2017. Autumn is the ideal time for advanced anti-ageing treatments as your skin has time to settle and be looking its best for the festive party season. 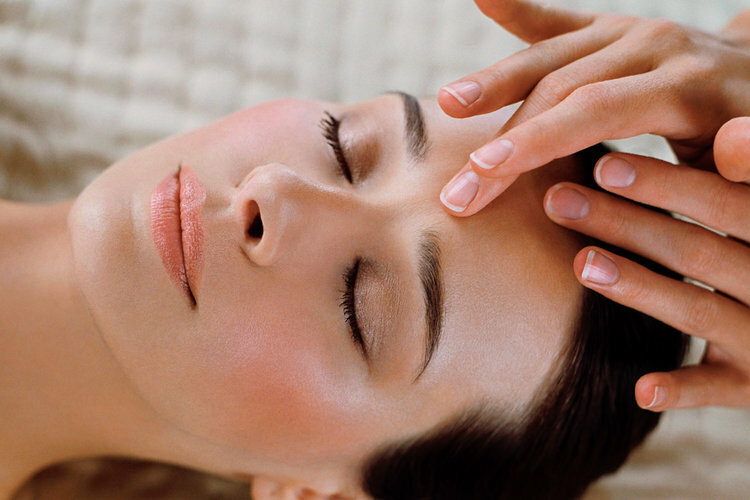 If your complexion is looking dull this autumn why not try our microdermabrasion treatment? Non-invasive, safe and painless this treatment gently exfoliates and resurfaces the outer layers of your skin leaving it rejuvenated, polished and glowing. “The treatment also helps reduce sun damage including pigmentation and lines,” adds Lilac. Interested to learn more? This blog explains how microdermabrasion works and what to expect from a treatment. “We’ve also been having some brilliant results with the pioneering Elemis BIOTEC Skin Resurfacer treatment” says Lilac. The ultrasonic peel, massage and light therapy improves skin tone, blemishes and fine lines transforming the texture of the skin and leaving a smooth complexion. To combat dry winter skin Lilac recommends adding a serum or facial oil into your daily skincare routine. She explains, “I also try to have a facial every 3/4 weeks as this is how long it takes skin to go through its full life cycle of skin cell growth. I find the Superfood Pro Radiance is the best all rounder for winter hydration - it’s rich in superfoods and essential minerals to boost stressed, dull skin and leave it plumper, radiant and glowing” (£65 for 60 minutes). Don’t forget to stay hydrated in the winter months. It’s essential for your health and skin. H2O has a massive effect on your skin too – dehydration leads to dryness, flaking and premature skin ageing. Drinking 6-8 glasses every day to replace lost fluids is a simple, free way to help keep skin radiant and glowing. Hands and lips have to battle with subzero temperatures and blasts of central heating; it’s no wonder they become dehydrated, chapped and sore. Make sure your lips are sealed with an effective barrier at all times as once they dry out peeling lips are more difficult to heal quickly. Why not chat through any skin or beauty concerns with your Sleeping beauty therapist – it’s what we’re here for after all – we’re always happy to advise and guide you. Book online or call 0844 445 7771 and chat to one of our beauty team. Newer PostGet ready for the party season!